David Gemmell was the bestselling heroic fantasy author, best known for his debut novel Legend and the character Druss The Legend. David was born in west London and was raised alone by his mother up until he was 6 years old. He lived in a deprived area and suffered physical and mental abuse from his peers, often sustaining injuries through fighting. He was compelled by his stepfather to take up boxing as a means of defending himself, who insisted he stand up for himself and to never back down or run away, this philosophy can be seen to influence much of Davids writing. At the age of 16, he was expelled from school for the organization of a Gambling syndicate and while a youth he was arrested several times. He also commented that one psychologist labeled him a psychopath at the time. He worked in various pursuits including laborer, lorry drivers mate and a nightclub bouncer before his mother managed to get him an interview at a local newspaper. There were 100 applicants for the one position, and David was amongst the least qualified however he managed to secure the job through sheer arrogance, which was mistaken at the time for confidence. He pursued a career as a journalist for several years, eventually becoming editor in chief for 5 local newspapers in East Sussex. He also worked for the Nationals including the Daily Mail, Daily Mirror and Daily Express as a freelance. 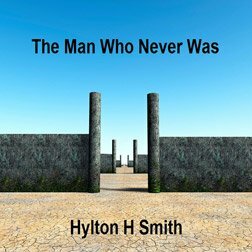 He first began writing novels in the 1970's, with the novel "The Man from Miami" however he failed to find a publisher for the book. He later confessed that the book was that bad it could "curdle milk at 50 paces"
In 1976 he was diagnosed with cancer, which he believed would be terminal and to take his mind off this he began to write "The Siege of Dros Delnoch". He managed to write this in just two weeks and told the tale of a warriors resisting a siege against overwhelming odds. It is clear that this was a metaphor for his illness, the fortress at the center of the tale was Gemmell, the invaders were his cancer. Leaving the ending open, he indented to finish it depending on his prognosis. He found out that had been misdiagnosed and set the novel aside up until 1980 when he allowed a friend to read it. His friend convinced him to re-write the manuscript and then attempt publication. It was published in 1984 under the title "Legend" and it has been a hugely successful novel since, widely regarded as his finest work, and also his own favorite. It wasn't until 1986 that he gave up working as a journalist, which in a way was a forced career change after he was sacked for using colleagues names for characters in his thirst novel, Waylander. He then decided to write full time an up until his untimely death of coronary heart disease in 2006, managed to write over 30 books, most of which have become best sellers, and continue to sell worldwide today. In 2008, a special award for writers of Fantasy was set up in honor of the great writer, The David Gemmell Legend Award for Fantasy. The first ever winner of the award will be presented at the Magic Circle Headquarters in London on the 19th June 2009.